The route from Xining to Lhasa is the main Qinghai Tibet Railway and travels from Qinghai Province of China to the capital of the Tibet Autonomous Region, Lhasa. Traveling down across the vast plateau, the train passes through and by several notable sights and areas of interest that travelers do not normally get to see on a tour of Tibet. 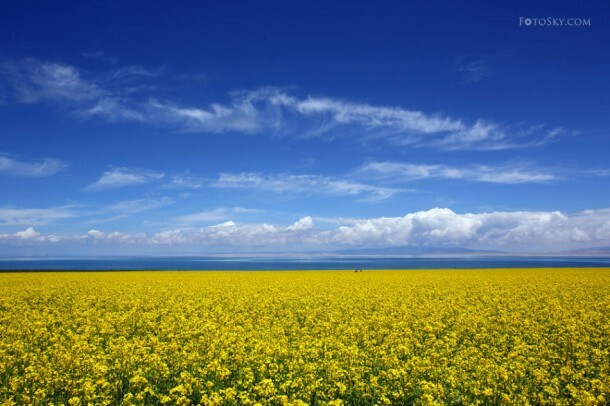 From the minute you start the journey, the first of many amazing sights greet you as you trundle out of the Qinghai provincial capital, the beautiful Qinghai Lake, the largest lake in China. After Golmud Station, the trains start their steep climb up to the heights of the Tibetan plateau, climbing up and over the Kunlun Mountains and crossing the Kekexili Grasslands. The home of dozens of species of indigenous animals, including the white-lipped deer, wild yaks, and the wild donkeys. On the far side of Kekexili, the train reaches its highest point of the whole journey, at the famous Tanggula Pass, which is home to the highest railway station in the world. As well as being the highest road and rail pass on the planet. As you drop down from the Tanggula Mountains, the train begins its long run across the Changtang Prairies, one of the largest expanses of natural grasslands in Tibet, and the home to wild yaks, wild Tibetan donkeys, white-lipped deer, snow leopards, Tibetan antelopes, and the cute little pika. After the grasslands peter out in the foothills of the Transhimalaya, the train passes near one of the holiest lakes in Tibet, Lake Namtso. One of three great sacred lakes, the other two being Lake Manasarovar and Lake Yamdrok, Lake Namtso glints in the sunlight as the trains roll through the hills and mountains that surround the tracks on both sides. From Namtso, it is a short journey along the stunning valleys of the Nyenchen Tanglha Mountains to the station at Lhasa, lying on the edge of the beautiful Lhasa River. Altitude sickness is rarely a problem on the modern Tibet trains, thanks to a sophisticated oxygen delivery system that pumps the cars with additional oxygen from onboard tanks, to keep the oxygen levels a little higher than that of sea level. This increased oxygenation of the natural atmosphere of the train, which is not actually pressurized, reduces the risk of feeling the symptoms of altitude sickness whilst on the train. 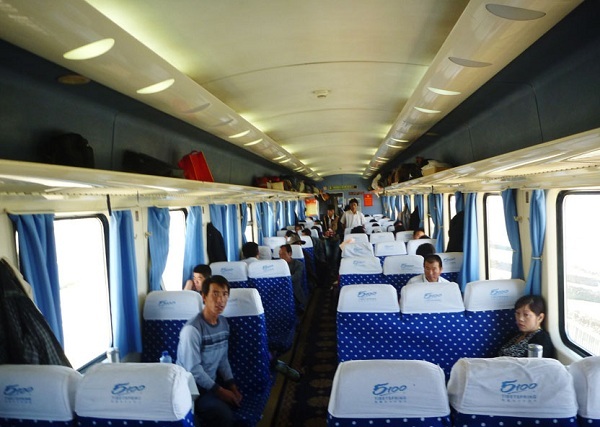 Moreover, if you do start to feel a little dizzy, sick, nauseated, and suffering from headaches, the Tibet railway staffs will provide you with a personal breathing tube, that can be attached to the small oxygen outlets that can be found in your cabin, in the corridors, and even in the dining car. 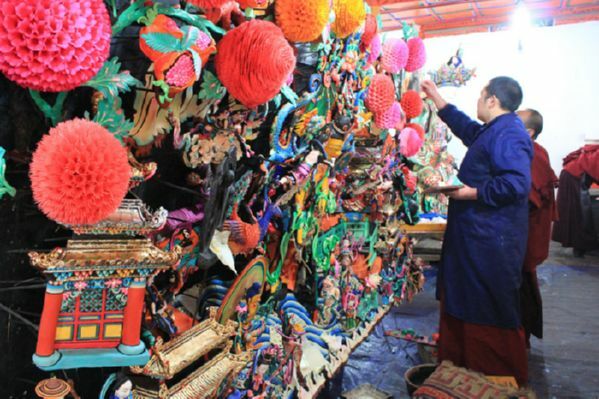 One of the best ways to reduce the risk of altitude sickness when traveling to Lhasa from Xining is to spend a day or two in Xining, acclimatizing to the altitude of the city before moving on. Intermediate acclimatization, as it is known, is where travelers stop at an altitude of between 1,800 and 3,000 meters and allow the body time to acclimatize to that altitude before moving on to higher altitudes. This intermediate acclimatization helps to stave off the effects of altitude sickness on the train and makes it easier to acclimatize when you reach the heights of Lhasa. While there are no direct shuttle buses to the station from the Xining Caojiabao International Airport, there is a shuttle to the Bayi Road terminal, from where you can get a taxi to the station, or travel by local bus if you are familiar with the local Chinese public transport system. For most international travelers, the taxi is the best option, as the local buses are only in Chinese and can be confusing if you do not understand Chinese. The shuttle to Bayi Road terminal takes around 40 minutes, costing just 25 yuan per person, while the taxi part of the trip is only three kilometers, taking around five minutes and costing about 10 yuan. Remember to agree to the price before you travel by taxi, or it may cost a lot more on a round-about route. Xining Railway Station is centrally located within the city, and getting there from just about anywhere is really easy. Local buses ply the routes around the city and can be used if you understand Chinese and know how to use the local bus services. If not, then a taxi can be easily found to take you to the station from almost anywhere in Xining. Taxi fares range from 10 yuan, which is the minimum fare to as much as 20 yuan from the furthest points of the city itself. 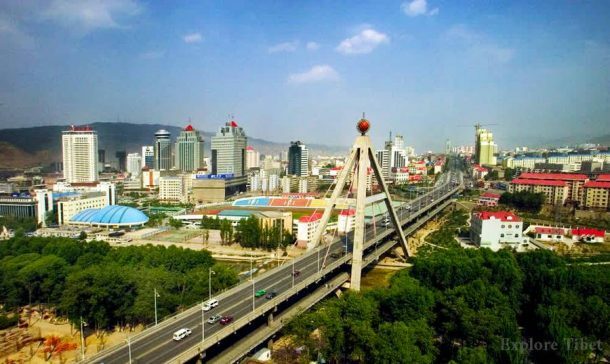 Downtown Xining is considered to be the Chengzhong District, which is roughly in the center of the city, and right next to the Chengdong District in which the station lies. Taxis from Chengzhong to the station cost around 10 yuan. If you are traveling from Xining to Lhasa, you will need the Chinese Entry Visa to enter China, if one is required for your nationality. There are some citizens of Chinese areas, such as Hong Kong, Macau, and Taiwan, that do not need a visa, while nationals of 16 countries may travel to China without a visa for limited periods from 15 to 90 days. If you are traveling to Lhasa by train from Xining, then you will also need a Tibet Travel Permit, which can only be obtained once you book an organized tour with a registered tour operator. The Tibet Travel Permit is not only required for travel into and around Tibet, but it is also required to collect your train tickets and board the train to Lhasa. Travelers attempting to board without the Tibet Travel Permit will be prevented from traveling and may face official questioning. Lying around 150 kilometers outside Xining, Qinghai Lake is the largest lake in China, and an amazing sight for those traveling to Qinghai for the first time. Summer is always the best time to visit the lake, with the bright sun and blooming flowers that fill the grasslands surrounding the lakeshores. The main monastery for the Gelugpa School of Tibetan Buddhism in Amdo, the Kumbum Monastery lies in Huangzhong County, around 25 kilometers outside Xining, and a great place to head for a day out. Built-in 1577 to commemorate the 200th birthday of the founder of the School, Je Tsongkhapa, who is believed to have been born in the area, the monastery is vast, covering more than 144 thousand square meters, with over 9,000 rooms and 52 halls. Located in Chaka Town in Ulan County of Haixi in Qinghai Province, the Chaka Salt Lake is around 298 kilometers from the provincial capital and is quite an amazing sight for anyone visiting Qinghai and Xining. Lying at an altitude of around 3,059 meters above sea level, the lake has been exploited for its natural salt reserves for more than three thousand years. The smallest of the salt lakes in the area of the Qaidam Basin, Chaka is unusual in that it has a unique coexistence of both solid salt and saline waters. Known as the “Mirror in the Sky”, its azure blue waters reflect the sun from the snow-white bed of the lake.